Located on the banks of the Connecticut River in South Hadley, Massachusetts, Brunelle’s Marina and Dockside Restaurant has served the local community for over 50 years. 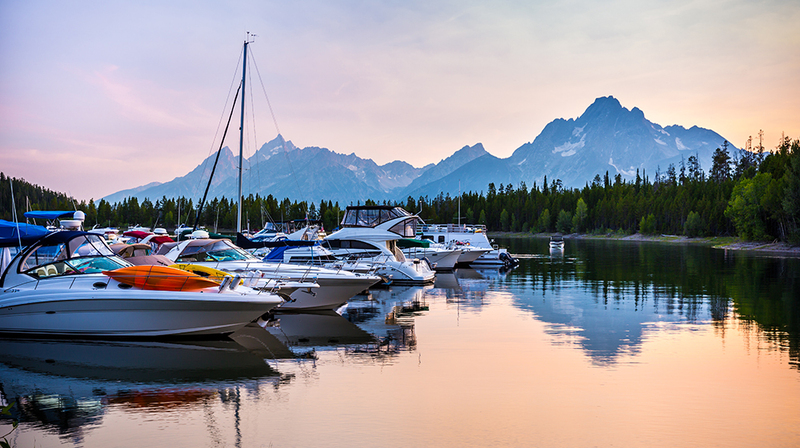 Brunelle’s Marina offers a full range of services for all seasons including boat docking, service and storage. The Dockside Restaurant offers casual dining with panoramic views of the Connecticut River and the Holyoke Range. In addition to the marina services, Brunelle’s also operates Lady Bea Cruises, with a 53-foot climate-controlled cruise boat that is used for daily cruises, private charters, and entertainment cruises. The property also hosts special events under an event tent during the summer and early fall. In July 2013, Brunelle’s suffered a devastating fire that completely destroyed the building that housed the Dockside Restaurant, boat sales showroom, and boat repair shop. While the building was a total loss, Brunelle’s Marina needed to continue supporting operations in their active marina, including riverboat cruises and banquets that were already scheduled to be held in their outside tent facility. A construction trailer was brought in and installed next to the destroyed building to serve as the interim office. However, moving the existing phone lines and broadband Internet connection to the trailer proved to be problematic. It was estimated that it would take 30 days to move connectivity to the trailer. Brunelle’s turned out to Normandeau Technologies, a provider of customized telephone systems and structured network cabling solutions based in West Springfield, Massachusetts, to deploy a solution restoring the critical communications and broadband Internet infrastructure to their operations. Normandeau Technologies quickly deployed a cellular access point and connected it to their EmbraceIP hosted VoIP system to transfer Brunelle’s main telephone number to the trailer. However, providing phone extensions to other areas of the property required a reliable, long-range wireless bridge. Normandeau chose to deploy the EnGenius ENH500 5GHz Wireless N300 Outdoor Client Bridge. “We needed an outdoor bridge that delivered a combination of performance, reliability, durability, and affordability, and the ENH500 was the ideal solution,” explained Brett Normandeau, President of Normandeau Technologies, Inc. The ENH500 is a high-speed long-range outdoor 802.11n wireless access point/bridge that operates on the 5GHz band to deliver data rates of up to 300 Mbps over distances up to one mile. The PoE-enabled bridge, which incorporates two Fast Ethernet ports for connectivity to the network backbone and client devices such as IP cameras, is housed in an IP55 waterproof housing for deployment in harsh outdoor environments. By deploying the single ENH500 unit, Normandeau was able to provide VoIP extensions to the riverboat ticket booth and the banquet tent. The fast data connection was also used to support other critical applications such as Point-of-Sale and Internet access in the remote locations. Through deployment of the EnGenius ENH500, along with the cellular access point and VoIP system, Normandeau Technologies quickly restored critical communication and data infrastructures to Brunelle’s badly-damaged property. The combination of long range, high speed and the ENH500’s durable weather-resistant design enabled Brunelle’s to provide telephone extensions and high-speed data connectivity to the trailer and all of their remote locations. Offering an industry-leading price-to-performance ratio, the ENH500 was the ideal wireless networking solution; it delivered the performance required to simultaneously support bandwidth-intensive VoIP and data-based applications at an affordable price point. Currently under construction, the new Brunelle’s building, including the new Dockside Restaurant, is scheduled to re-open in Spring 2014, and will use EnGenius wireless access points to provide Wi-Fi access throughout the marina.